To start this blog I thought a quote from Henry Ford would work quite well “A Business absolutely devoted to service will have only one worry about its profits, that they will be embarrassingly large!”. From my previous post I blogged about the fist fight in the enterprise public cloud, in which there are many players including, Amazon, ATOS and more recently VMware. The list goes on, but they are all fighting about one space in particular and this is aquiring the enterprise applications that vendors and suppliers have safe guarded for years. Amazon are making more and more in roads in to this space and I could not resist to blog about the CIA cloud. 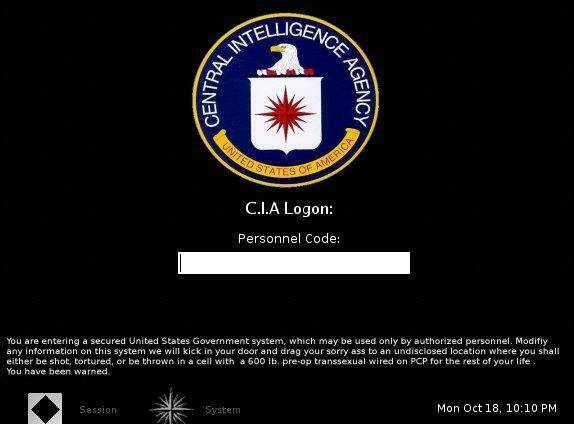 Thats right the CIA cloud, it has been reported that the CIA are in talks with Amazon around a private cloud solution. This was first reported by “Federal Computer Weekly”, now you have to think about this in context. This is the US governments first real move in to cloud computing after acknowledging the benefits of cost saving, flexibility and able to keep up with the latest trends in computing such as big data and analytics. So if the leader in cloud computing at the moment can build a highly secure, highly performant stable environment for the CIA applications, what is stopping the rest of the enterprise world merging to a similar approach? One of the clouds biggest questions is “Is my data safe?” surely if the CIA are looking at this they deem the cloud model to be safe. Now lets not get carried away here its not like Amazon will place the CIA on a shared infrastructure with every other man and his VM! They are apparently building a private cloud for the CIA. This is falling inline with their recent communications that they are beefing up their VPC (Virtual private cloud) capabilities, such as giving you more storage per relational database up fro 1TB to 3TB and up to 30,000 IOPS. Their whole game plan here is to attract the IT old school who will not move enterprise applications to the cloud. It certainly sounds appealing to me! So if you put two and two together and think if Amazon are embarking on a large scale secure cloud with the CIA they will surely apply the lessons learnt there and be even more formidable in the market place. Naturally no one will comment on this from the CIA or Amazon but I am sure this will have got tongues wagging in the industry. To go back to my quote at the start of this blog, Amazon seems ever more focussed on the service it is delivering and if they do get this contract it is reported that this is worth $600 over ten years. Just think if they can then coax the enterprise application crowd over to their services also, I think the quote rings true, they will be embarrassed by profits! So in jest this blog never happened! “Gentlemen, congratulations. You’re everything we’ve come to expect from years of government training. Now please step this way, as we provide you with our final test: an eye exam…” FLASH (quote men in black). wonderful publish, very informative. I wonder why the opposite specialists of this sector don’t realize this. You must proceed your writing. I’m sure, you’ve a huge readers’ base already! Thank you for your kind comments, they are appreciated. Please follow and socialise this blog. Thank you for your comments they are appreciated. You’ve a fantastic article here, really insightful. Very effectively composed I shall be bookmarking this site and subscribing to your feed so i am able to always read content material of the quality. Thank you very much, please socialse this blog.